A sliding hook flyer kit including 1 bobbin is now available as a retro kit for all existing Joy Spinning Wheels. Fill the bobbins evenly with the squeeze-and-slide stainless steel hooks. Graphite fibreglass arms make these flyers light and strong. 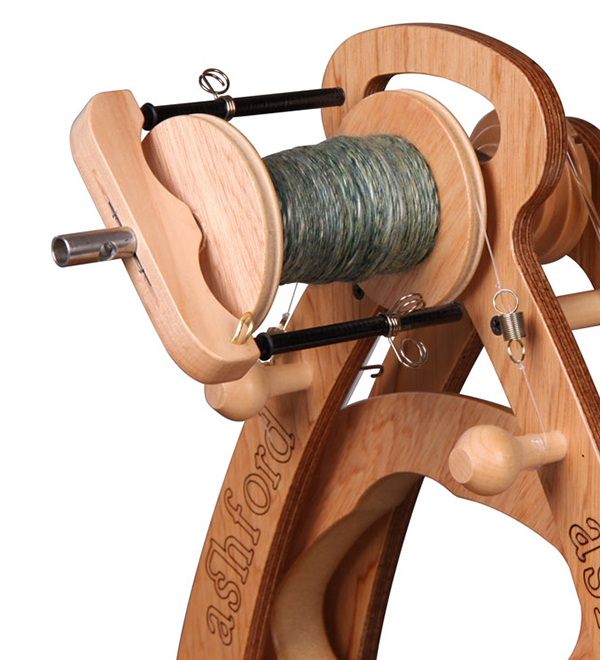 New sliding hook flyer bobbins hold up to 30% more yarn. Due to the larger bobbins, the treadle may not fold completely with these bobbins stored in previous models.